Clear, uncompromising tone. 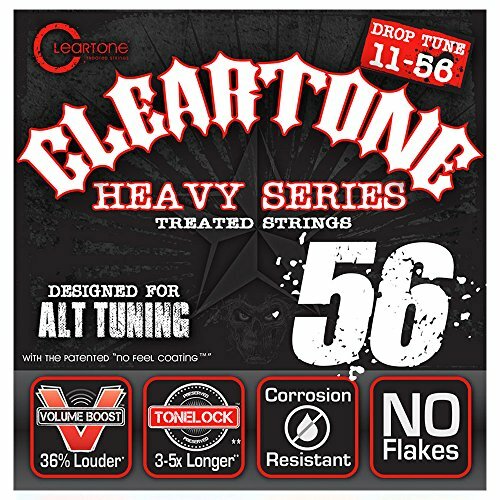 Gauges: 11-15-20p-36-48-56 Designed specifically for Drop D tuning, this Cleartone DT set features heavier gauge guitar strings for that extra tension you need. With a thin one micron coating, the EMP Treatment (Enhanced Molecular Protection) is then applied to all 6 strings to ensure longest tonal life without compromises. Manufacturer: Everly Music Co. Inc. Publisher: Everly Music Co. Inc. Studio: Everly Music Co. Inc. If you have any questions about this product by Cleartone Strings, contact us by completing and submitting the form below. If you are looking for a specif part number, please include it with your message.